At Indus World School, we believe that sports and academics are closely linked and work in tandem to improve performance of our students. Both Sports and Academics provide a unique path for development of self-confidence, collaboration and leadership skills. Getting engaged with sports additionally helps students maintain a healthy and well-balanced lifestyle. We believe that basic fitness must be achieved by all our students. However, choosing which sports to play as a hobby and which ones to excel in is left to our students. In the early years, we provide exposure of different kinds of sports to all our students so that they can choose the sports of their interest and abilities. 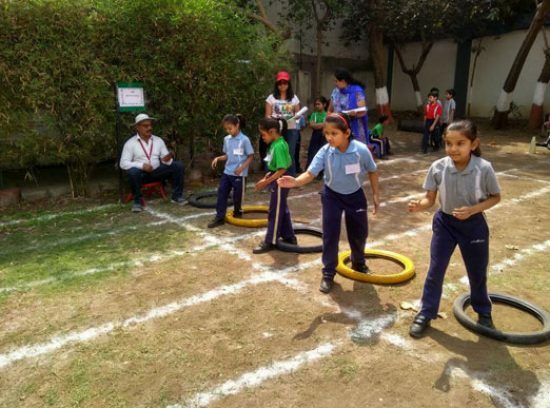 Our sports and fitness program provides opportunities to all our students so that they can participate at different levels – ranging from Ananda to Sadhana, both in interschool and intra school events and competitions. We believe in inclusive participation in sports. 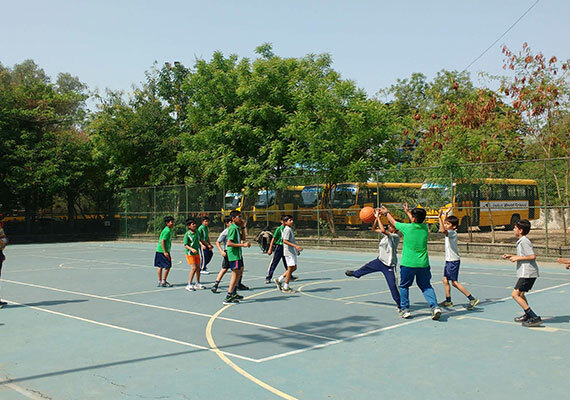 At Indus World School, all students must be a part of one sports team and must try to excel at one individual sport. We do not believe that sports must be played to win all the time. However, we encourage our students to do their best in whatever sport they choose to play. To develop and grow the students - physically, mentally, socially and emotionally. To provide opportunities to students for development of good habits, attitudes, and leadership skills. To assist students in developing a deep understanding of the value of sports and physical fitness. To aid students learn how to win with poise and lose with grace. To provide plenty of opportunities for students for self-discipline and development of emotional maturity. To assist students in development of social competence with the framework of rules so that they learn how to give their best in any given situation. To promote the Indus World School spirit and assist all our students, faculty, staff and parents - both the audience and participants - develop pride in Indus World School. We have trained and qualified staff to attend to any medical requirement needed for students playing in the School. Our staff is trained to assess and treat injuries or aches. Additionally, for any specialised and urgent medical attention needed, the School has a tie-up with a nearby hospital. 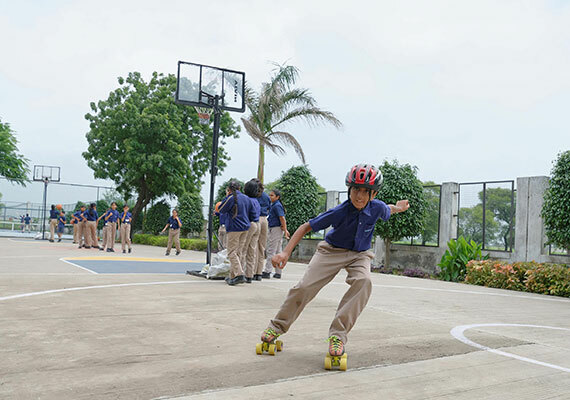 Indus World School offers contemporary facilities, which include gymnasia, specially-equipped rooms for specific sports, tennis courts, football ground, basketball court, volleyball court, athletics track, playground and an open-air theatre. Also, through various tie-ups, the School has access to large auditoriums, riding schools, stadiums and Olympic size swimming pool.